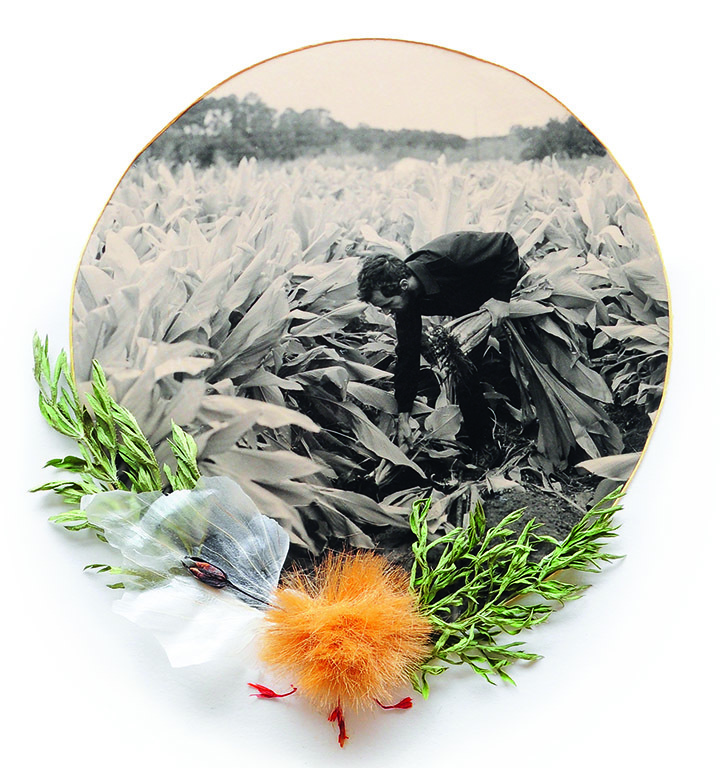 Food and farming luminaries offer words of wisdom to the next generation of farmers. 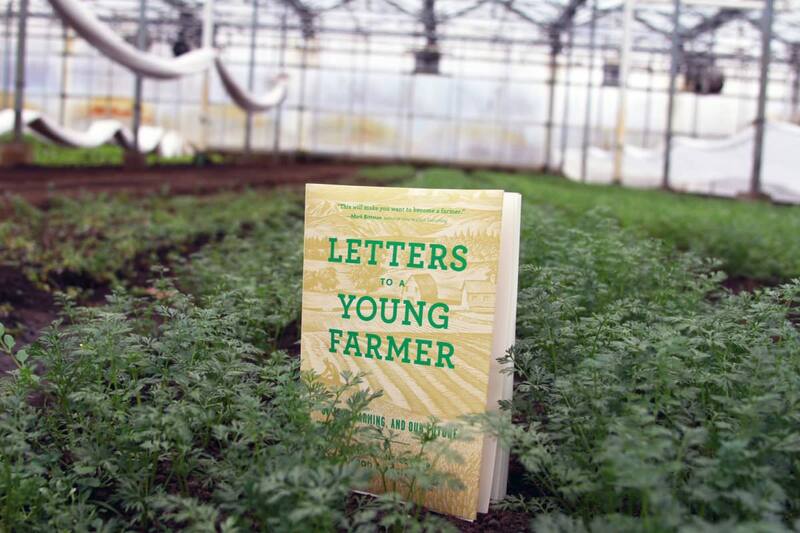 Excerpted and abridged from Letters to a Young Farmer: On Food, Farming, and Our Future by Stone Barns Center for Food and Agriculture, edited by Martha Hodgkins, published by Princeton Architectural Press, 2017. Reprinted here with permission of the publisher. Photography Stone Barns Center for Food and Agriculture. I want to start by saying “thank you.” Thank you for dedicating yourself to feeding us all. And thank you, too, for being the inspiration for my restaurant – indeed, for my life’s work. You are my partner in change. Forty-four years ago, when I first opened Chez Panisse, I must have thought the ingredients would magically come to us. But they didn’t, of course. We had to go out in search of them. It started with just a handful of farms, but we immediately recognized that we had found what we were searching for: real food. And once we became acquainted with the world of farming, we hungered to know more, to meet new producers, to taste new products. Each farmer was growing something unique: blushed Sun Crest peaches from Mas Masumoto, say, or fiery rocket lettuces from Warren Weber. We decided to hire a full-time forager (it’s possible we invented the post) – someone whose job consisted entirely of “truffling” out growers who might have something special, really special, to put on our menu. We permanently removed the middleman and committed ourselves to paying the real cost of the food directly to the farmers. Over the last 40 years, we have built loyal relationships with the more than 85 farms that supply us. I always say that farming is at least 85 percent of cooking, because it is taste that will truly wake people up and bring them back to their senses and back to the land. Having that beautiful produce to work with in the restaurant so completely changed the complexion of our cooking that we decided to celebrate our relationships with our farmers as much as possible. We began printing the names of the farms and ranches on the menu. They weren’t just any old boysenberries; they were “Bob Cannard’s boysenberries” from his idyllic Sonoma farm. These acknowledgments were not just a way to honor our most important collaborators; they were also an education for our customers. This way, if they loved a particular plum, they might be able to track down its grower in the farmers market and become that farmer’s regular supporter. This is what taste is all about. 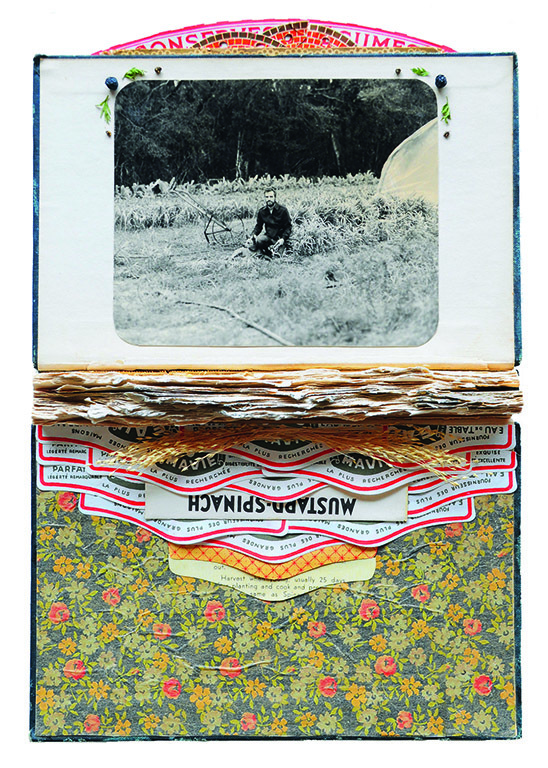 And it is taste, fundamentally, that makes my work irresistible and your work vital. I always say that farming is at least 85 percent of cooking, because it is taste that will truly wake people up and bring them back to their senses and back to the land. Too many farmers become insular in their lives, reading only their own orthodox materials. If you’re a chemical farmer, read some nonchemical stuff; if you’re a greenie farmer, read some chemical stuff. It’s important to know what the enemy thinks. Read liberal and conservative news sources; business, history, religion . All of this creates a Renaissance persona that can stand toe to toe with any Fortune 500 executive. Get a nice suit and wear it; don’t see yourself a s a blown-in hayseed. View yourself as a modern Jeffersonian intellectual agrarian. It’s easy to embrace things like permaculture, remineralization, biodynamics, holistic management. But don’t be cultish; keep learning what others are saying and expose yourself to many different kinds of ideas. That way you’ll make better decisions, and you’ll be a more interesting person. Farmers, too often, are known as hermit curmudgeons. We need to lead by example. 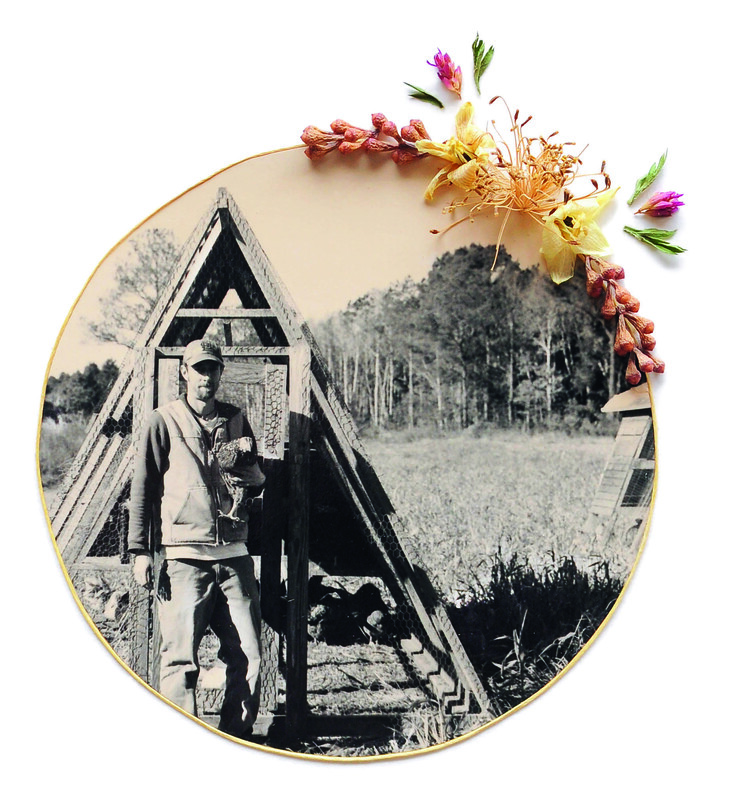 Fine artist Nina Garner’s mixed-media works pay tribute to young farmers in South Carolina, where she lives, setting their portraits among old books, seed packets, garlic skins, and more. What you leave behind matters, and it’s not about money, wealth, or material goods. It’s not success you want to be remembered for, but significance. In a perfect world, people should be able to farm, make enough to adequately support themselves, and have time off for family and leisure. That doesn’t sound too unreasonable. But when the financial numbers don’t line up, farmers can be famously guilty of self-exploitation. Like many entrepreneurs, farmers believe in what they do so much that they will do what it takes to succeed: work longer hours, sacrifice family and leisure time, balance the books at night so as not to waste precious daylight hours. But there is a limit. One thing for certain that we all have in common is that we only have 24 hours in a day. Some of those hours are for sleeping, eating, family interaction, and domestic chores, and some are for work. Hours for work are a finite resource. I tracked daily work hours one spring when my wife and I were shorthanded, and we each logged 80-hour weeks. Meals were simple and quick or skipped; laundry and housecleaning went undone for long stretches; leisure time didn’t exist; family and friends were put on hold. Here’s some sage advice: Do as I say, not as I did. Finding the right balance between work and nonwork is imperative. In hindsight, my wife and I would have been much better off hiring two helpers. Keeping the big picture in focus helps me stay centered: I’m making a living by growing healthy, nutritious food for the community, using sustainable and environmental practices that work with nature and foster the health of the world around us. Good business practices are essential to success. Work on your business, not just in your business. Think first, act second. Jot down your plans and goals: What do you want to grow or raise? Who will buy it? How will you market it? Don’t bite off too much at first. There is always next year, and the year after that. Get to know other farmers around you and strive for win-win relationships. Life is too short to be at odds with our neighbors, peers, and colleagues. Wanting success for your farm is completely natural, and working at something you love makes it feel less like work. But be aware that working too hard can burn you out. Keeping the big picture in focus helps me stay centered: I’m making a living by growing healthy, nutritious food for the community, using sustainable and environmental practices that work with nature and foster the health of the world around us. I sincerely hope your farm meets all your expectations, in all regards. Attention to detail. It really is that simple. Those three words are good advice for all businesses, but attention to detail is probably more important on the small, diversified farm than anywhere else. That’s because of the incredible number of factors that come into play when you are working with the natural world. For a quick idea of the level of attention needed, consider that some small vegetable farms may grow 35 different crops. And to spread out the offerings, they may sow four or five cultivars of some. Successional harvests require numerous planting dates. In total, that amounts to hundreds of varied and possibly unique decisions about crop rotations, soil types, planting and harvest dates, labor requirements, and other factors. I have always felt that anyone running a successful small, diversified farm could move right into the CEO chair of a medium-scale business and not miss a step. I assume you have chosen to farm because there is something you love in the act of farming. This includes the ability to work at a craft that requires you to understand and know so much – from weather patterns to soil science, the physiology of the plants you grow, and the habits and nutritional needs of the animals that will graze in your fields. I don’t want to attach some false romance to the work of a farmer, but there is some beauty to the repetition, and mostly you need to love it all enough that you can approach it with a calm appreciation. In Maine, where I live, people are returning to farming, which is reversing the trend of people moving away from farms – a trend that had been going on for many, many years. 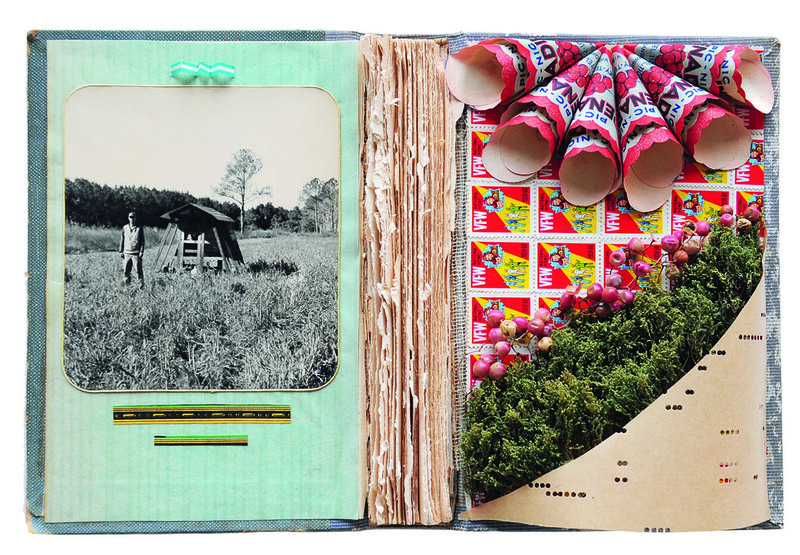 This return is part of the idea of farming as a political act. And consumers are increasingly searching out food that they believe will be more nutritious for them and their families. As there have been more opportunities to find this food, they are choosing the healthier, better-tasting options so they know what they are getting. food. Over the past 40 years, I have seen a tremendous amount of change. You will need to become an expert on the Farm Bill, or at least the parts of it that directly affect your work. Whenever this bill comes up for renewal, which happens about every five years, it attracts major lobbying efforts from every conceivable business affected for better or worse by this legislation. You, or the groups that represent your interests, must be part of that process. The ruling ideas of our present national or international economy are competition, consumption, globalism, corporate profitability, mechanical efficiency, technological change, upward mobility – and in all of them, there is the implication of acceptable violence against the land and the people. We, on the contrary, must think again of reverence, humility, affection, familiarity, neighborliness, cooperation, thrift, appropriateness, local loyalty. These terms return us to the best of our heritage. They bring us home. I see a reverence for farmers emerging anew. It comes, in part, with proximity: To know a farmer is to love a farmer. Thanks to efforts across the country, urban farms and community gardens are sprouting up from West Oakland to Detroit to Baltimore, facilitating just those connections. This new attitude is also seen in the number of people farming for the first time: The fastest-growing group of new farmers and ranchers consists of those under age 35. Young people are connecting with farming in other ways, too, through groups like Real Food Challenge, Food Corps, and the National Young Farmers Coalition. Universities and colleges are creating new food- and farming-related courses, and food studies programs are emerging on campuses nationwide; more campuses are host to functioning farms. Farmers are the beating heart of a place. Farmers protect land and water, preserve cultural traditions, nourish communities, promote health and well-being. Farmers keep alive the very tastes of a culture. Farmers connect us with the earth and with the seasons. Farmers help balance the natural cycles so dear to life: carbon, nitrogen, water, and more. The community-supported agriculture movement, started in the United States in 1986, is also giving tens of thousands of people a sense of reverence for farmers in a whole new way. When mothers like me can give children their first taste of blueberries and peaches, kale and sweet potatoes, beets and squash grown on an organic farm less than two hours from their apartment, that’s reverence. When we can raise our children on farm-fresh, chemical-free food, that’s reverence. When we see our children’s bodies growing strong thanks to the food they eat, that’s reverence. I remember scratching my head in graduate courses so many years ago, when we were taught that farming was a rung in a ladder to move beyond; when we were taught doctrines like comparative advantage that were simplified down to: If other countries can grow carrots more efficiently, why should anyone ever grow carrots here? I’ve come to see clearly now what those doctrines miss: Farmers are the beating heart of a place. Farmers protect land and water, preserve cultural traditions, nourish communities, promote health and well-being. Farmers keep alive the very tastes of a culture. Farmers connect us with the earth and with the seasons. Farmers help balance the natural cycles so dear to life: carbon, nitrogen, water, and more. When I get unsettled about the future, I need only think about the millions of people who wake up before the sun to dig their hands in the dirt to provide for the rest of us – and I experience that reverence anew.